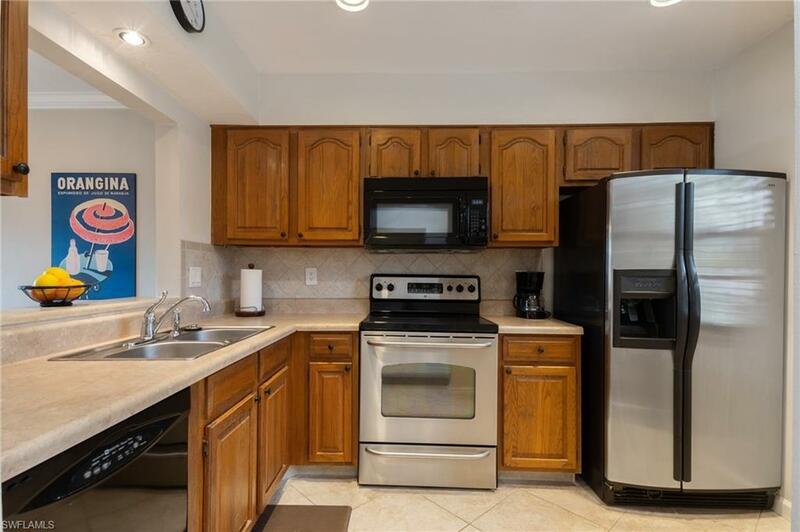 V.2825 - Move in ready light and bright first floor furnished end of group condo with a view of the lake. 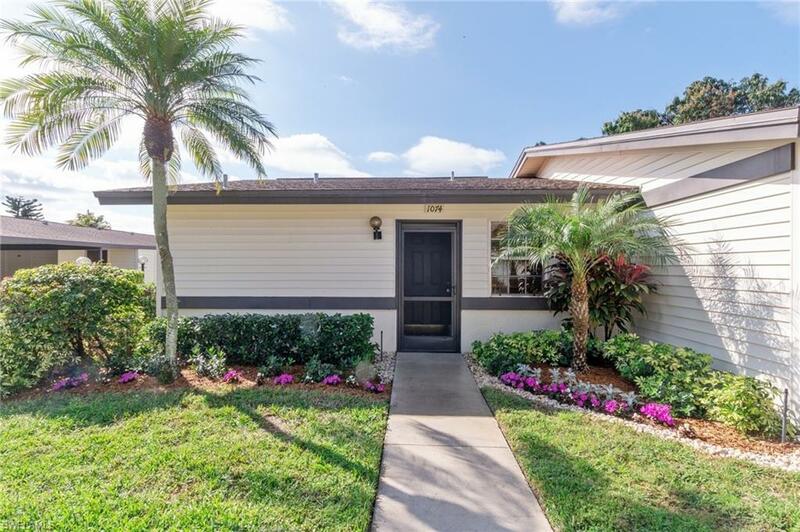 Desirable features include a glass lanai, private patio, tile floors throughout, washer and dryer, stainless apliances, updated bath, walk in closet and a carpot with storage closet. The patio overlooks the lake and is perfect relaxing or bird watching. 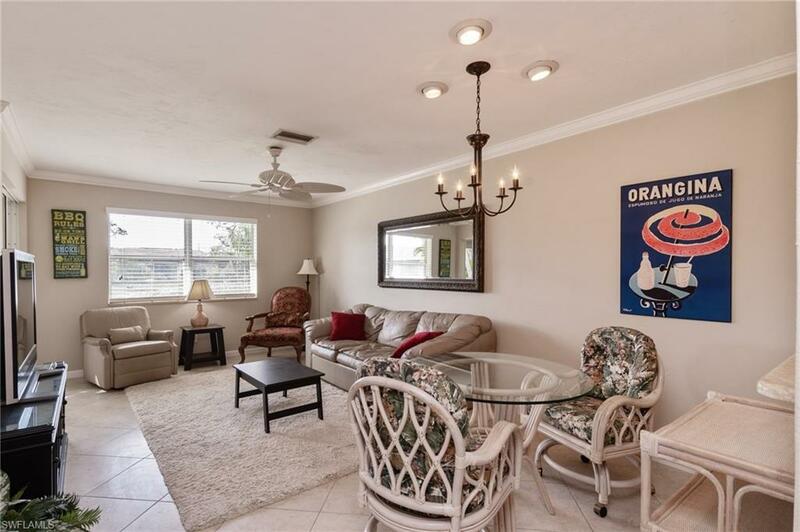 Located a short walk from the community pool on a quiet cul d sac, make this villa very desireable. 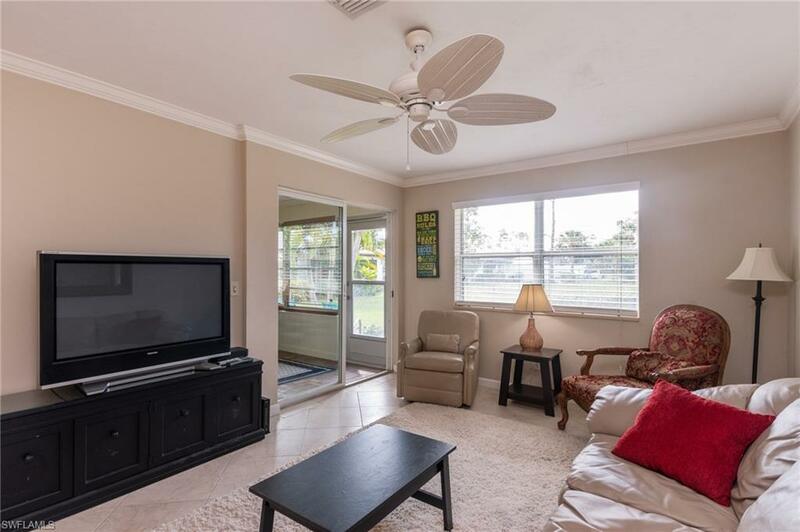 Boca Ciega Village is close to shopping, restaurant, golf courses and a short drive to either Naples 5th Avenue or sugar sand beaches. Convenience and Value! Better Hurry.